Never ever, never did she, an ordinary middle-class family girl, expect flying to Europe. Yet there she is back in Mumbai cherishing every fragment of those moments, longing to go back. What triggered this excitement goes back to her schooling days, when a teacher conducted a class on the Renaissance era. What further turned the moth in the brain to a butterfly in the tummy is when she read the very insightful yet controversial ‘the Da Vinci Code’ some years later, and there was the spark ignited – “I have to see The Louvre!” Yet it was still a phase of fancy and reality still seemed far-fetched. So, dear reader, in case you are still wondering if she made it, then yes, she did! When we mentioned “Yet there she is back in Mumbai cherishing every fragment of those moments, longing to go back”, we meant it is a flashback! So, this is what she shared with me. It was over a decade since my dream of a Euro trip took shape. One fine day, I am sitting in my office with my fingers crossed – It was a day of my appraisal! There comes a confirmation letter and I couldn’t believe what I saw. A 50% hike! I couldn’t believe it either, I am a hard-working self-efficient woman now (chuckles); and yes, my organisation, believe it or not, is a generous paymaster. So, I suddenly realised it wasn’t that out of reach for me. Call it a coincidence, just at that moment my colleagues were discussing the fun event none other than ‘Tomorrowland’. I get these butterflies in my stomach, my heart was pounding and I said to myself “Girl, if you planned your finances well for a year, you will indeed be in the land soaked in rich history – Europe”. There was just no stopping thereon. First things first, I began with the monstrous task. Saving 30% of my salary every month no matter what! Each month since then was bringing me one step closer to my dream trip, which by the way was no more just about the Euro trip, but that and Tomorrowland! Now a year and a half later, after finally managing my expenses well, I undertook the conventional process of research work, places to visit, and about Tomorrowland. The first step was to apply for a Schengen visa – that’s what they call a European visa. Doesn’t matter; even I didn’t know at that time(chuckles). A few days later after the visa application procedure, by the way, those were the restless times, I received my passport. I opened it and I saw that stamp of approval. A minuscule stamp, yet an impression every international traveller is at the mercy of. Cutting short, now it’s confirmed. I am going to Europe; for 21 days! It was now time to prepare my itinerary and spend hours researching the best ways to set the right BUDGET trip to Europe. I began with Airbnb, since it was recommended by every travelling soul I knew, to get the feel of a true travelling experience. Then I checked out an array of packages available on several commonly known platforms. Indeed, it was time-consuming. Frustration was building up. But then I thought, maybe it was just an anxiety and it will pass. I met a few of my friends who were already going to be in Europe at the same time and we decided we would figure things around once we get there. After all, what mattered the most was to finally land in Europe. So, I land there, in Europe. Breathing in the air made me feel nervous. I couldn’t believe I was there. I was in Europe, all by myself! Now, I anxiously waited for what stood ahead of me for the next 3 weeks to come. Moving on, the trip begins with none other than Paris. Yeah, it’s a known cliché. Almost every girl’s dream destination list comprises Paris, and I am no different. It is indeed a magical place! 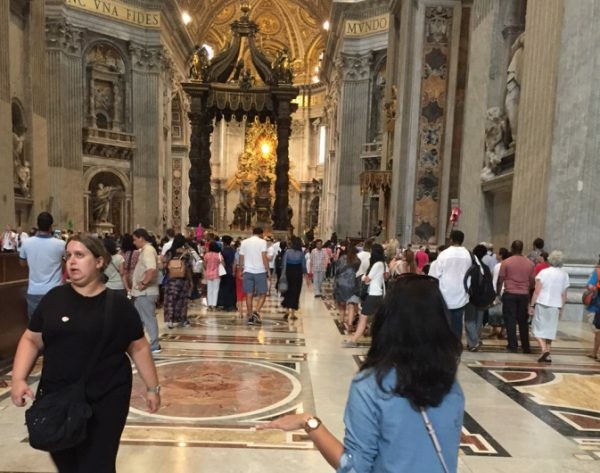 Filled with cute bakeries and restaurants, numerous chapels and churches, fountains, gardens, shopping stores and an endless line of souvenir shops. It suddenly felt like I am in a beautifully lit up paradise. Things were so organised. It felt good being away from the usual hustle and bustle of a routine life. The rail routes are very well connected and moderately priced with some discounted rates for people below 26 years of age. I could take a train to almost every place I wanted to visit. 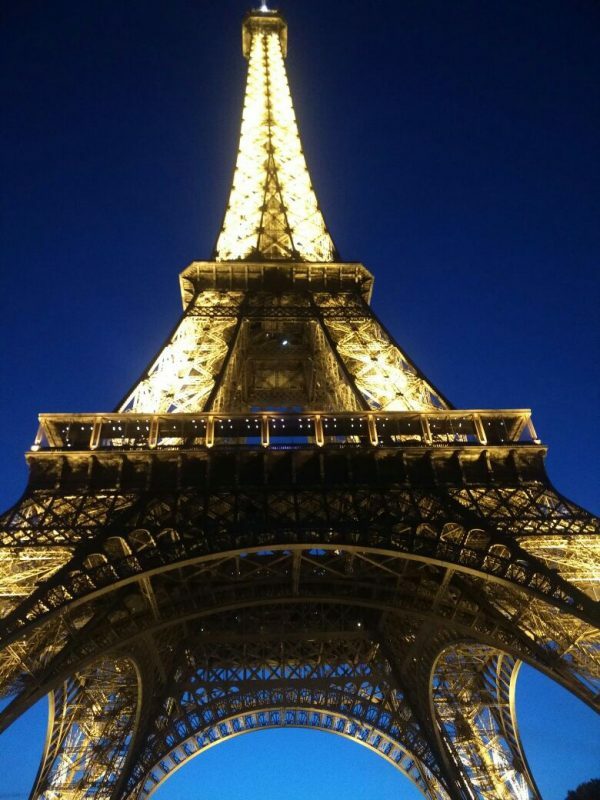 Our very familiar ‘The Eiffel Tower’ especially at night looked breathtakingly beautiful all lit up. Other places I visited covered The Notre Dame, Champs Elysees, a day long trip to Versailles and last but not the least I went to The Louvre! Only a history lover would understand how I felt after stepping into the biggest museum with nothing but History and Art all around me! Overall, keeping the site seeing aside, Paris as a city, is filled with so many different people, belonging to different nationalities and cultures; and may I say it is a serious misconception that Parisians are arrogant. Of course, language was a barrier, but, when asked politely, the locals were always ready to help. Oh, did I forget to mention that some basic proficiency in French did work in my favour? (chuckles). Honestly, I did have a lot more on my plate than I could handle, a lot of places to visit, lot of places to eat at and a lot of shows to watch. 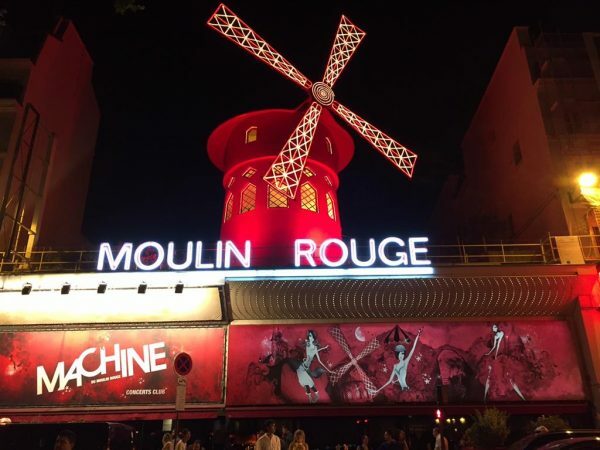 It did tire me a lot and that’s why I would recommend a minimum of 7 days for a comfortable stay in Paris. My next destination was Italy which spanned most of my trip duration. This is where I was supposed to meet my friends and do the rest of the trip with them. We started down south where we stayed at Positano and Capri and travelled up north Pompeii, Venice, and Rome. We had booked an Airbnb for most of our stay in Italy. However, somewhere it didn’t feel like a good decision to make. There’s absolutely no doubt that the villa we stayed in was amazing with a fabulous scenic view. But, the only way to go up to the house was by climbing up the hill as the entire town is built on hills. Considering I had 21 days in Europe, I had packed luggage of some gigantic proportions, and carrying the bags uphill seemed a never-ending task! Do not misunderstand me. I am not blaming the place for that (tongue between her cheeks). 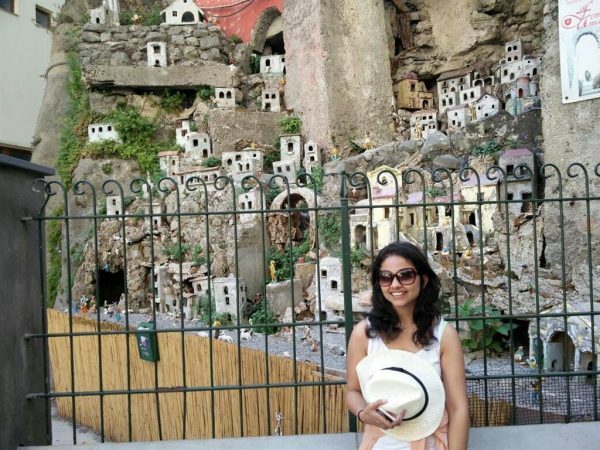 Positano is the most beautiful village I have ever seen! Lavish and perfectly decorated homes, themed shops, beaches with fancy shacks, cute shops and surprisingly a happening night life. We would walk our way down to the beach and spend the whole day sipping on cool drinks and dancing to happy music! Our next stop was at an island to the south of Italy called Capri. If asked to describe Capri in one sentence, I’d say it’s a Rich man’s holiday island. In addition to being a very scenic and beautiful place, it was overly priced. Our stay out there was going to be at a Bed & Breakfast again as the hotels were way out of reach. We did visit the Amalfi Coast, and saw the Blue Grotto, which was an outstanding site to watch! After 5 days of tranquil, we headed to Florence and Rome (for staunch site seeing). 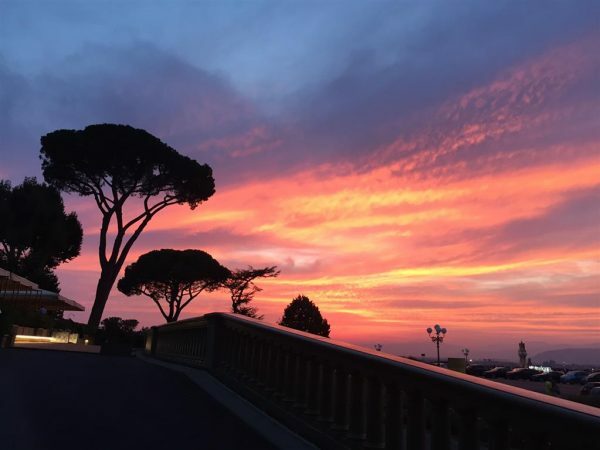 Rome is stuffed with endless history, which the locals claim is yet to be fully discovered! There was this lovely flea market we went to by the canal that was open all night with a lot of food trucks, games and mini bars. However, Florence, on the other hand, is a place I personally preferred over Rome. It encircled a good mix of history and fun. Good night life, 2 of the most amazing Indian restaurants I’ve ever eaten abroad (yeah, I get homesick at times). We stayed at hotels at both these places as it was no more possible for us to lift our bags up the stairs after torturing our bodies in the south (grins). 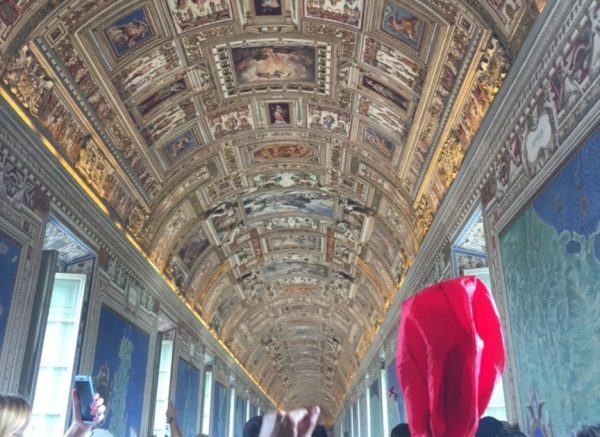 The most exciting part for me was to visit the Vatican City of course, because of the world famous Sistine Chapel. 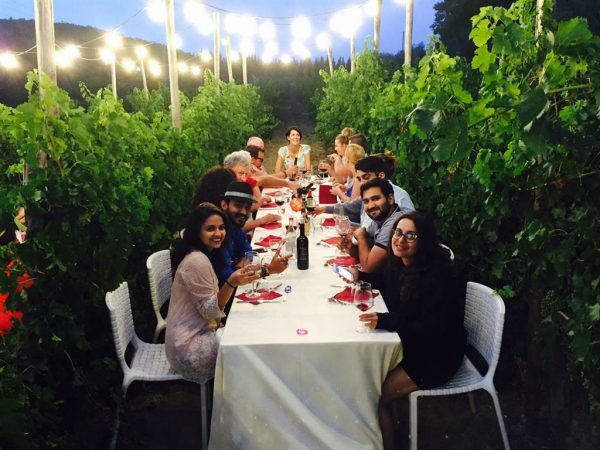 All in all, Italy was an enjoyable experience with completely different cultures than any other destination. Even the accents of the people changed as we moved from one place to another. Unfortunately, we fell prey to a lot of racism in the southern parts of Italy. It was a memorable experience for sure, but with a little pinch of salt & pepper. 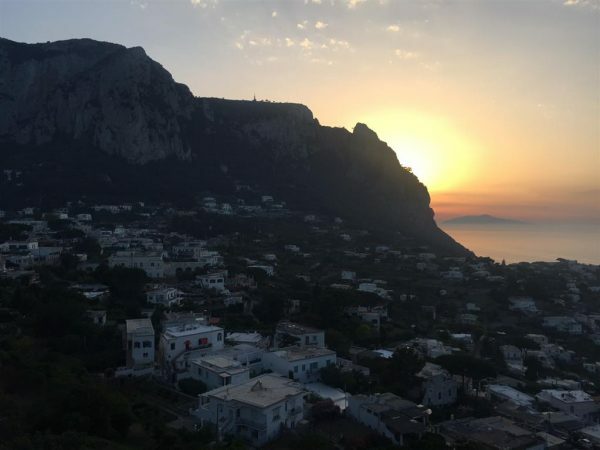 Staying overnight in Capri – Overpriced hotels. Not much to see other than the beaches. 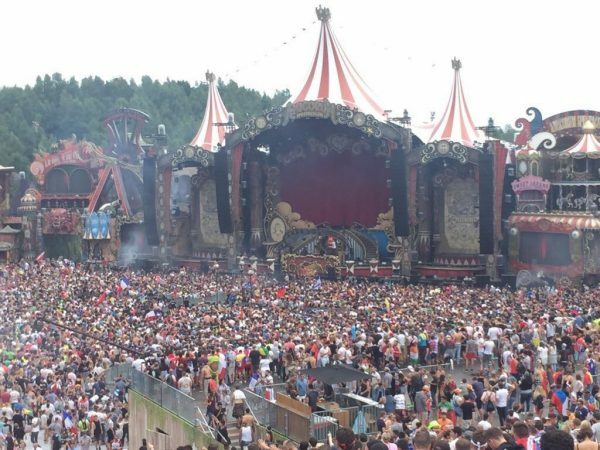 Now it was time to bring on the fun – Tomorrowland! I headed to Brussels, Belgium. The event was for 3 days and I was there only for this event, the magnitude of which can only be measured by its dedicated patrons! 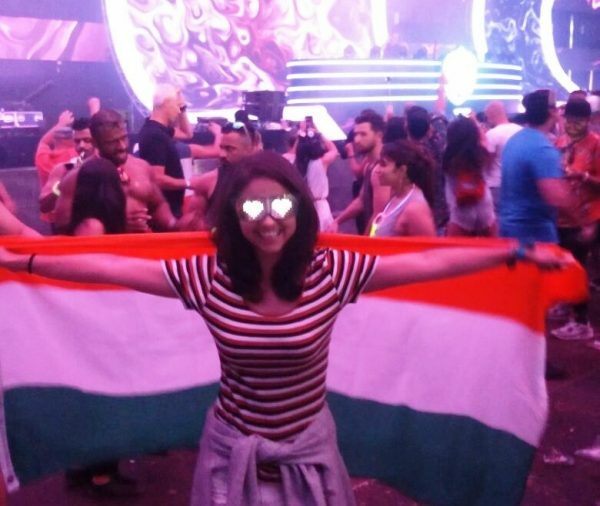 I couldn’t believe myself I was in the same premises as the globally renowned DJs like Axwell Ingross, Armin Van Bureun, Martin Garrix, Afro Jack, Vini Vici and many more making patrons go berserk to their music. The list was endless! I must say this is an experience one must live to believe it! It’s the happiest vibe I ever felt in my entire life! Beside this musical festival Brussels is quite a calm and peaceful place with just one happening Brewery – the cherry beer is a must try there (chuckles). I was now in the last leg of my Euro trip and I had to finish it with a bang. Any guesses for my next destination? Yes, it was Amsterdam! If you’re looking to literally JUST CHILL throughout the day, Amsterdam is where you should be! Having travelled to varied destinations with endless travel and a very hectic schedule each day, after having danced at Tomorrowland for 3 days back to back, I chose Amsterdam as the last destination of the trip with the good old intent of chilling as we Mumbai youngsters call it. I did just that and I absolutely loved it! It’s a city full of relaxed, patient and helpful people, the weather was just perfect and there was some lip smacking food on the offering (mostly junk but drool worthy food). It’d be a paradise for the meat lovers. The nightlife set the place abuzz with colourful people around, and streets full of retail showrooms called to me every now and then I made a stroll around! I did visit Madame Tussauds, the Dungeon and a couple of other places that didn’t take up more than a day. All in all, Amsterdam was my most favourite destination concluding the entire trip. I would want to go back there again and again! It was all in all an experiential, fun and life-changing trip. I am now back in Mumbai at my work desk but I still can’t take Europe out of me. I reminisce the days of my trip and look forward to going back to do an elaborate one the next time for I know there’s a lot more out there I’m yet to explore. This one was just planned for some fun however, I cherished every bit of time I spent there. Eric loves to travel, and enjoys cooking different cuisines for which he credits his experience of having lived abroad for a short while, apart from traveling to many other colourful destinations. It’s these experiences that inspired him to resort to writing, which allows him to express himself explicitly. Eric is also an avid gamer, and quite infamous among friends for his sarcastic yet witty one-liners. Very well described trip, I like reading such travel experience blogs. 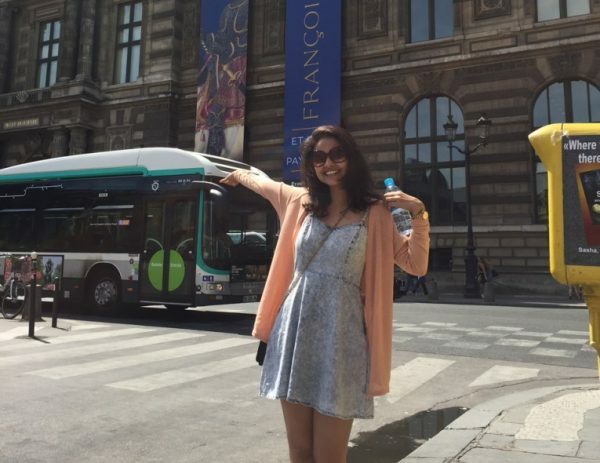 It was really great reading this blog, now I really want to go on a Euro trip soon. Seems like a great experience. Thank you for sharing this blog. That is such a fun sport and we had a perfect birthday Daddy.? Larry added. ?Can we play ?What?s the best factor about God?